For catalysts, molecular sieves, activated carbon, perlites, and other granulates, the so-called sock and dense loading methods are gentle loading processes required by the industry. Sock loading is the loading of e.g. catalysts avoiding free fall. Dense loading is a process for loading reactors/vessels achieving the continuous filling of catalysts at a specified density with a constant filling level. 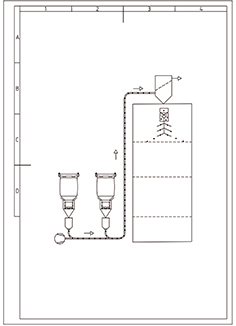 Our technology meets all requirements with regard to high-quality loading results.